Knowing your strengths, talents, and abilities is the first step to unleashing your potential and power and creating meaning and lasting transformation. We are all blessed with so many wonderful gifts, but we can’t unwrap and share them with others if we fail to acknowledge what they are. Acknowledge yours today! What are you good at? What do people come to you for help with? What experiences have you gone through, and what have you learned from them? Blessings are all around us. If we choose to look for them, we will certainly find them. What are you grateful for? What makes you smile? What positives do you notice in your life right now? Each day, look for three things to be grateful for. These blessings multiply! There are so many things in life that we have very little or no control over—what happens to us, what other people say or do. We are not the general managers of the universe. However, we have incredible control over how we choose to respond to every experience we encounter. Our control lies in our attitude and our behavior—our choices. Choose wisely. The master key to success lies in discipline. We are surrounded by enticing temptations and obstacles that deflect us from our goals all the time. Discipline is like a muscle; the more we work on building this skill, the more we develop excellent habits that bring us closer to achieving our biggest success. Discipline means asking yourself: What is the very best use of my time right now? And then consistently following through. Small increments every day lead to tidal waves of success—step by step, day by day with consistent discipline and dedication. We are all fighting battles, and a gentle word that offers hope and support can literally save a dream. Are you an encourager or a critic? Do you accentuate problems or encourage solutions and creative thinking? Do you lift people up? Are you inspiring, motivating, and supportive of helping others to get further and reach higher? When we lift others up, we rise. Commit to becoming the most encouraging person you know. The world needs more cheerleaders desperately! What would you be doing with your time if you knew you had only six healthy months left to live? Focus all your time, energy, and resources on the things and people that truly matter most to you. Vague goals produce vague results. Blurry goals yield blurry outcomes. Take the time to get clear about where you are going and what you’d like to accomplish. Write this down. Then focus. Whatever we focus on grows. Get clear and then laser focus on your most meaningful priorities. Don’t sweat the other stuff. Keep it simple and focus on what you care most about. Giving to another person and knowing our contribution has had a lasting impact creates true happiness and peace of mind. Anytime you give, you grow; every time you give, you get, whether it’s a kind word, giving charity, volunteering, or connecting to a cause that speaks to you. Your giving has the power to light up the world. Ask yourself each morning: How can I give of myself today? How can I show up more fully? How can I be of value and service today? How can I contribute today? What difference can I make today? Think about the people you look up to, those who already are where you’d most love to be. Ask them how they did it. Reach out to the experts. Spend time with them. Learn from them. Get their help. Use the love and support of family and friends to spark your bravery and courage. Asking for help is a sign of strength, not weakness. Make a list of where you need a hand and a list of people who could become your greatest helpers on your journey. We’re beings of social interest. Helping is who we are. We thrive when we help. Give and get help wherever you can. It’s a showcase of wholehearted and vulnerable living, which makes you real. People like helping real people. We’re all just walking each other home at the end of the day. That’s what it’s all about. Read, learn, blog, journal, go to classes and talks and lectures that inspire you. Commit to starting and ending your day with inspiration. One minute of inspiration can ignite a passion inside of you that can alter the course of your life forever. Get out more, be curious, ask questions, become more open-minded. Inspiration is everywhere. Look for it. Inspiration is what charges us. When we are charged we grow. When we grow, we are happy. Choose to become joyful. Appreciate the gift of life. Each moment is precious, and fragile, and denied to many. Laugh and smile, have fun, and lighten up. If you see someone walking around without a smile, offer them one of yours. Not feeling like you have joy to share? What lights you up? Do you have a list that you can plug into your week? My joy list includes: a delicious cup of coffee, time with the people I love, a great run or workout, reading something magnificent, laughing and watching the sunset, to name but a few. I make sure to do these daily. You’d be amazed how many people love writing and sharing their joy list, but they forget to schedule and do the very things that bring them joy. Create your list and then live it—joyfully. Imagine a world where each person is deeply and truly devoted to kindness. Let’s work on being the kindest spouse, friend, parent, manager, employee, coach, and child we can be. I truly believe that kindness is the only thing that will change and save the world. Tiny acts of kindness create ripples so far and wide, we can’t begin to comprehend just how far they can reach. I am known to be a forever student. As I complete one course, I enroll in another. My bedside table has a tower of books and I soak up learning with a desert-like thirst. When we learn, we open our minds and discover new possibilities. We can learn to pioneer anything! The sky is the limit. Let’s give ourselves permission to try new things, take risks, and be humble enough to learn from new leaders and teachers. Lessons are all around us. Failure can become our greatest teacher. Mistakes can become our greatest mentors. Make sure you spend time with people who know more than you. It’s humbling and awe-inspiring. Write a list of some of the things you’d love to learn this year. Each day, record one new thing you didn’t know before. Watch your horizons expand exponentially! Neuroscience has evidence today that meditation literally rewires your brain and can change your thinking, habits, and negative beliefs. It’s miraculous and it’s accessible to every one of us. Try it for yourself. Start to live a mindful life of greater peace. Never give up. Never do a permanent act based on a temporary feeling. Never say, “It’s impossible” when really, it’s just hard. Never listen to naysayers and non-believers. Never push aside a dream that means the world to you because of the time or effort it’s going to take to make it happen. If today, “Never” is all you do, it’s more than enough, it’s plenty; in fact, it’s everything. Today, when faced with adversity, ask yourself: What would an optimist do right now? What would they try? What’s might be possible because of your optimistic outlook? What can you see that you never saw before? The optimism sees the sunset and knows that even the most awful days can still end beautifully. The optimist knows that a few steps backward after moving forwards is not a disaster, it’s just a cha-cha, and the optimist knows that the cup is refillable! Prioritize your life so that your highest value activities take preference. Enhance and refine your time management skills so that you are able to identify what tasks you need to tackle first. Say yes to your priorities and make each day count. When you live this way, there is no regret. Complete your highest value activity first so that it’s done. Done is better than perfect. Get the important stuff done before anything else. Always prioritize in writing. It’s not enough to merely think about what matters most to do; grab pen and paper to record and track your priorities so that you can measure and accomplish them every single day. Start today. Plan for tomorrow. Celebrate a life that’s not wasted! Originally I was going to share a long list of things to quit—like complaining, making excuses, indulging negative habits, staying in the same place when you’re itching to move, and letting fear and naysayers control your life. Then I realized it’s human nature to do some of these things from time to time. So work on these things, but quit being hard on yourself when you struggle. You will never be able to completely stop doing all things that are unhealthy for you, but you can always give yourself credit for trying. It’s not easy to let go of regret, mistakes, anger, resentment, ego, jealousy, and compassion, but each day offers us abundant opportunity to practice. 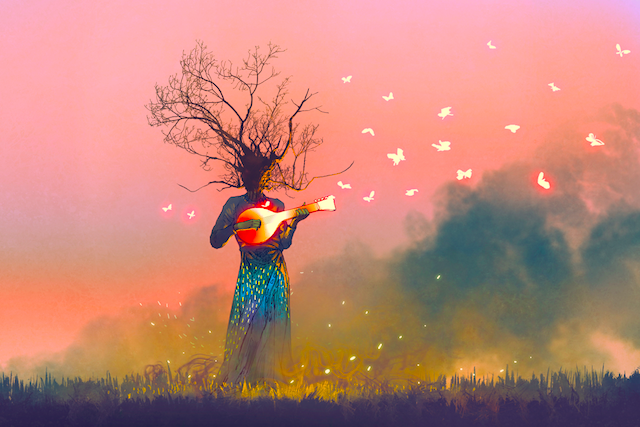 Try to catch yourself when you’re getting caught up in a story in your head so you can take a few deep breaths, center yourself, and free up your energy for the people and things that bring you peace and purpose. We all need to learn how to apologize to those we’ve hurt, intentionally or unintentionally. And though will all deserve the same in return, we also need to learn to accept an apology we were never given. Then, we can move forward without anger. Forgiveness is a gift both to others and ourselves. Let’s decide today to be courageous by apologizing or offering forgiveness. Turning the page allows us to move on to the next chapter of the story. We can’t do this if we keep re-reading the one we’re currently stuck on. We all want to be acknowledged for our efforts. “Thank you” is such a simple phrase, yet it means so very much. Recognizing what others do for us not only reminds us to be modest and humble, but it opens doors to more deeper and meaningful relationships, enhances our empathy, and improves our psychological and physical health. Who can you thank today? Start with one person and extend your appreciation as far and wide as you possibly can. Unplug from technology. Switch off. Spend time with yourself, by yourself. One of the greatest discoveries of self-transformation and personal development is not only getting to know yourself, but getting to like what you find. Connect to all your loved ones. Look people in the eye. Listen with all of your senses. We miss out on so much when we are plugged in to devices rather than to hearts. Spend time in nature. How can you redesign your day so that you create time outside? Do you take regular breaks? When was your last vacation? When was the last time you admired a flower? Do yourself a favor when you have the time. Take off your shoes and go walk outside barefoot on the grass. Watch the sunset. Play with a ladybug. Stare at the clouds. Just be. Speak your truth. Wear your passion. Let people know what you care about. Let people get to know the real, beautiful, one-of-a-kind you and what you stand for. You have a unique voice. You have greatness within you. You have something the world needs. That’s why you are here. Use your voice to speak your goals. Use your voice to care. Use your voice to inspire. Use your voice to make positive change. Use your voice to pray. Use your voice to sing. Use your voice to laugh. Use your voice to help. Use your voice to care. Use your voice to love. Speak up. Even the most brilliant, tried-and-tested life tools in the world can’t work, unless you do. There are no quick fixes or magic wand. Real transformation is a slow, gradual, and real process that requires hard work and consistent effort. With commitment and dedication to working hard, nothing can stand in your way of moving forward. Hard work means that we are willing to try, fall, and stand up again; we are willing to be bold; and we are willing to face ridicule and criticism. Work on your goals each day, step by step. We are designed to grow. As we work toward our dreams, with patience, comes tremendous reward. What you put in is what you get out. Don’t be someone who just does the bare minimum required in life. Go the extra mile and do more than you did before. Expand your comfort zone with extra focus, extra power, extra love, and extra drive. The difference between ordinary and extraordinary is just that little extra. Today, where can you show up a little EXTRA? Leave it behind. Glance back to see how far you have come, but keep moving forward. Leave your past mistakes behind you. Yesterday just determines your starting point for today. It in no way predicts how far you can go. Live now, savor the present, and plan wisely for tomorrow. Don’t get stuck in what was, you don’t live there anymore. Today is a new day to set new intentions, get inspired and motivated, and start taking meaningful action toward your goals. Do you do things just because, or do you do things with fervor, zeal, passion, energy, and enthusiasm? Where in your life are you still fast asleep? Where are you merely snoozing or drifting aimlessly? Now is the time to wake up. Choose one thing to do today that makes you come alive. Today, you get to decide to be accountable, not helpless; you get to decide to be interested, not indifferent. You get to live your life today on fire. You get to put your whole heart into something. What is the first thing you’re going to do, right now, to get the momentum rolling? Each of these building blocks can stand alone or stand together. Choosing to work on even one of these will have a powerful positive effect on your life. Whether you are the kind of person who prefers a step by step process, one letter at a time, or you love to dive in deep and work on multiple tracks, these ABC’s will give you an outstanding foundation on which to build a more purposeful, happier, and fulfilling life. 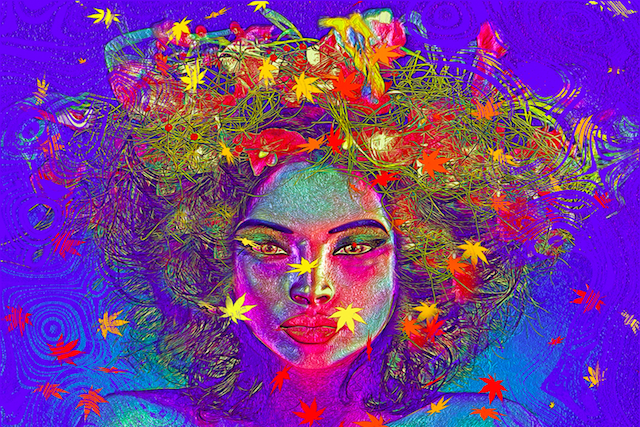 The post The ABC’s of Personal Growth: How to Live a Meaningful, Fulfilling Life appeared first on Tiny Buddha.